In a follow-up to the New York Times best-selling book “Dream Big, Little Pig!,” Poppy, the adorable, persistent pig, has a new adventure in store for her. 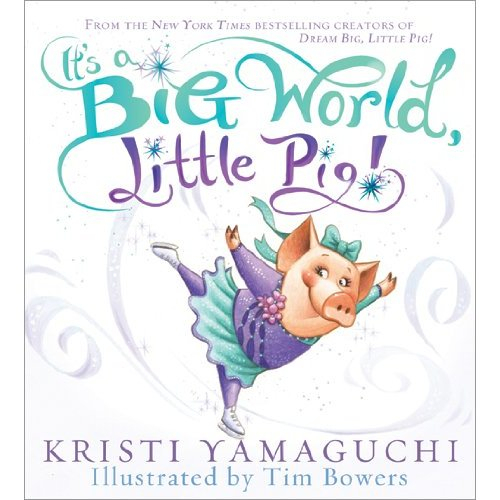 In Olympic gold medalist and “Dancing with the Stars” champion Kristi Yamaguchi’s second children’s picture book, “It’s a Big World, Little Pig!,” Poppy competes in the World Games ice-skating championship in Paris. Poppy is nervous about meeting so many new people in a new place. But, ever courageous and supported by her family, she embarks upon this exciting adventure head-on. Yamaguchi will be traveling throughout the U.S. to promote her new book in March. She will donate a portion of her proceeds from book sales to benefit her Always Dream Foundation. Pre-orders are available through Amazon.